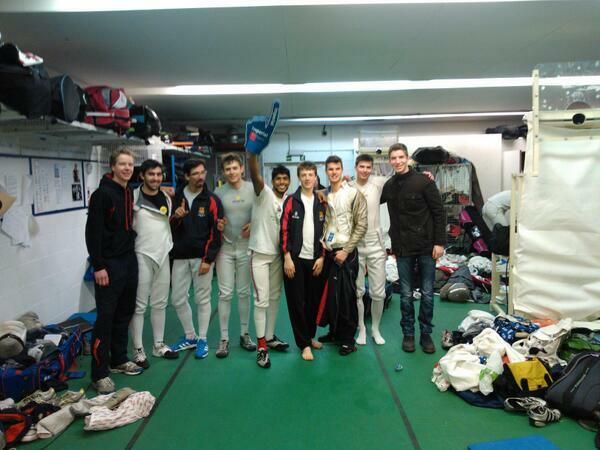 Imperial Fencing’s 2nd men’s team finally began their new season last Wednesday with an away match against UCL’s 1st team, after the disappointment of a rescheduled match the week before. 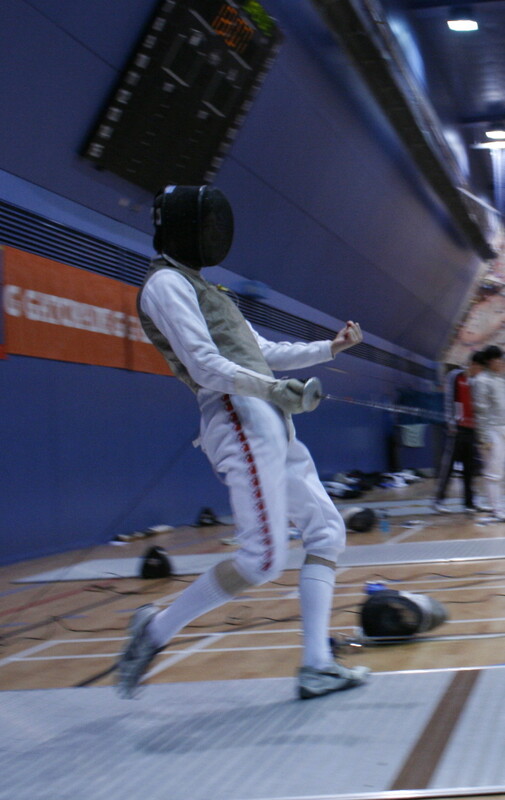 UCL have previously been in the Premier League but after ending up in the 2nd league last year they have been working their way back up, winning last year’s Conference Cup with the help of some well-known names on the national fencing circuit and rejoining Imperial’s 2nds in the 1st league. We arrived at the venue near Euston Square at 2pm in high spirits but knew that UCL would be a tough nut to crack over the next few hours. 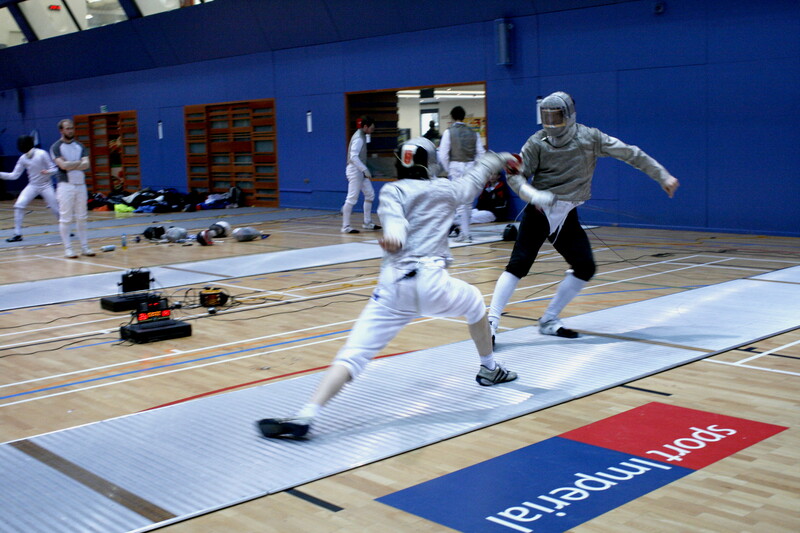 The match started with sabre, with Camille van Hoffelen, Tim Wright and team captain Jamie Fairclough on the piste. After 2 bouts we were trailing our opponents slightly but Camille did a great job in his first bout, getting several hits to catch up and keep us in play. UCL’s sabreurs then found their own steam and over the next 4 bouts they developed a good lead, even though Camille kept parity with his opponent in the final bout by scoring 5-5. 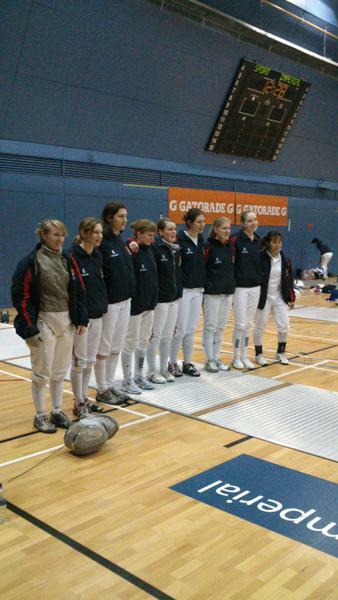 UCL finally won sabre 45-29. 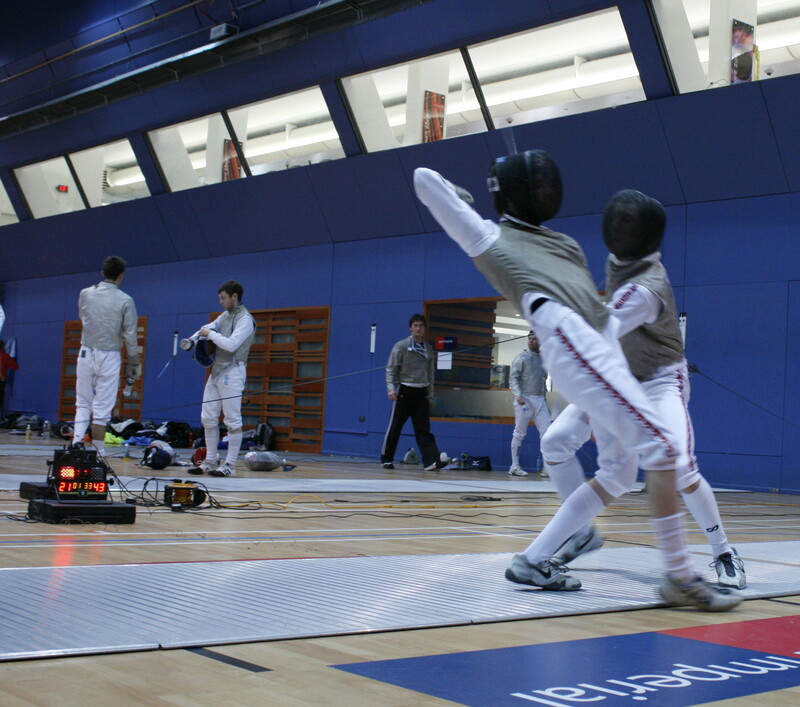 The second weapon of the day was foil, a particularly strong weapon for UCL. Our foilists, Steve Moore, Arnold Ng and Joby Hollis had their work cut out. UCL took an early lead with some devastating flick-hits and particularly bad luck for Arnold, who took priority from his opponent several times but missed them on the riposte. Steve and Joby struggled too, catching out the UCL foilists with successful counterattacks and feints but failing to catch up on the rising UCL score. Foil ended with Imperial losing 20-45, now trailing UCL by a total of 41 points with only one weapon to go. 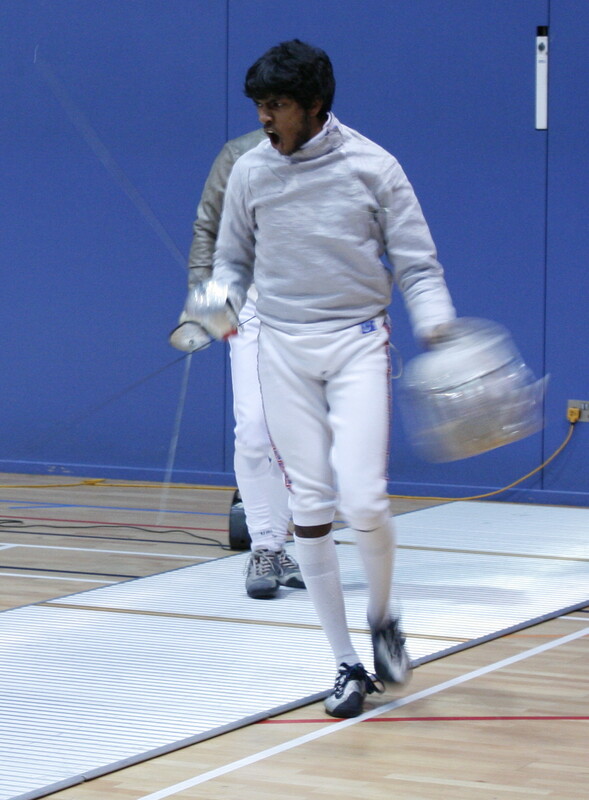 Last up was epee, Imperial’s strongest weapon, but we needed to win this one 45-3 if we wanted to win the match. A tough challenge for epeeists Tommy Hirst, Adam Butler and Tom Powell! Sadly UCL scored their 4th point in the first bout, guaranteeing their victory, and extended their overall lead with a score of 20-13 by the 5th bout. Instead of losing hope, our new recruit Adam took the fight to UCL by driving his opponent to the end of the piste. 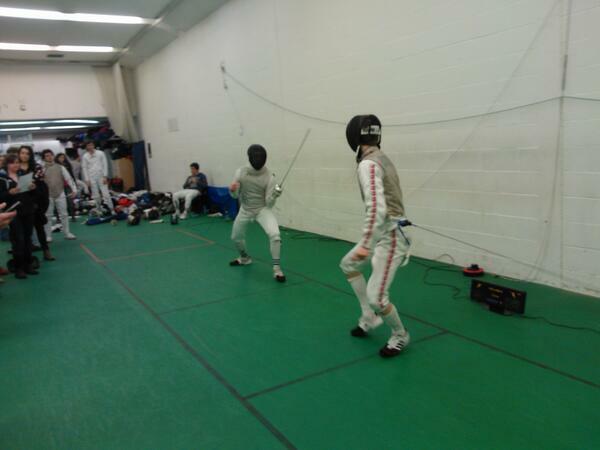 Several hits later Adam finished his bout and Imperial were back in the running to win epee. Tom and Tommy kept up the assault, reaching the final bout only 5 points behind. 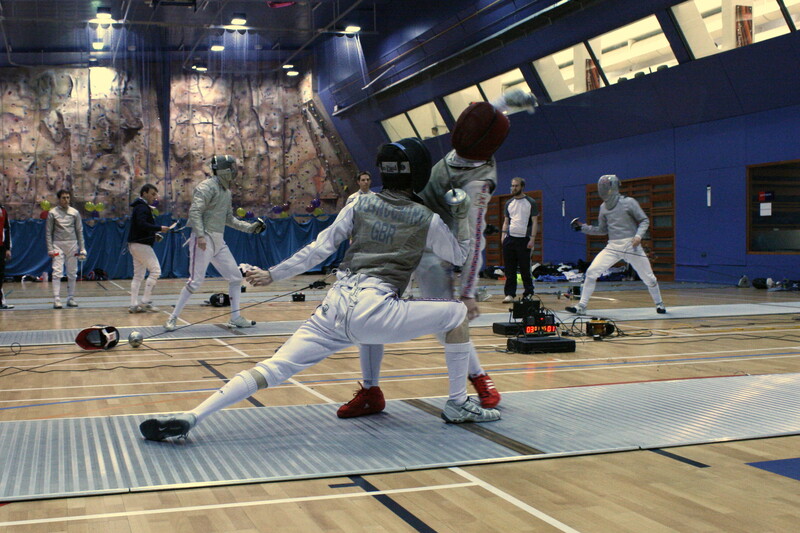 Tommy tried his best to take the lead in the last 3 minutes of the match, but UCL managed to hang on to their 5 point advantage with the last points awarded to both sides due to simultaneous hits, eventually finishing epee 45-40 and ending the match. UCL won all three weapons, with a final score of 135-89, an uncomfortable loss for the Imperial 2nds after never scoring less than 100 per match in last year’s league. 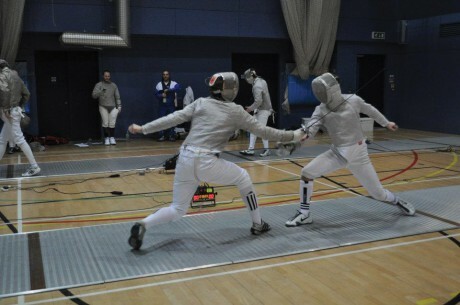 With a strong team of old and new fencers on our side, we were very impressed by the quality of UCL’s 1sts and how well they did across all 3 weapons. With us, UCL and Kent gunning for promotion this year the 1st league is going to be very interesting indeed. We look forward to playing them again at home in a few months time, and with any luck we will even the score.